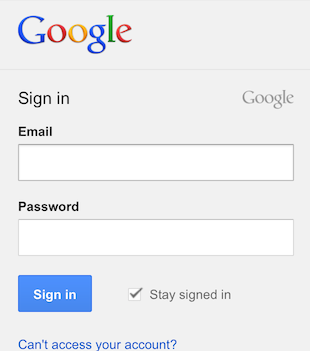 Google's mobile sign-in page has a new interface that uses the same slogan from the desktop: "One password. All of Google." 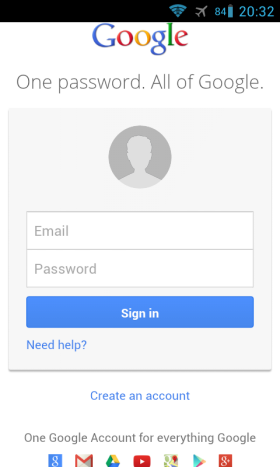 It's a more crowded page that includes a silhouette icon, a list of icons for Google services like Gmail, YouTube, Google Maps and a small "Create an account" link at the bottom of the page instead of the red "sign up" button. For some reason, the new sign-in page lacks the "stay signed in" checkbox.